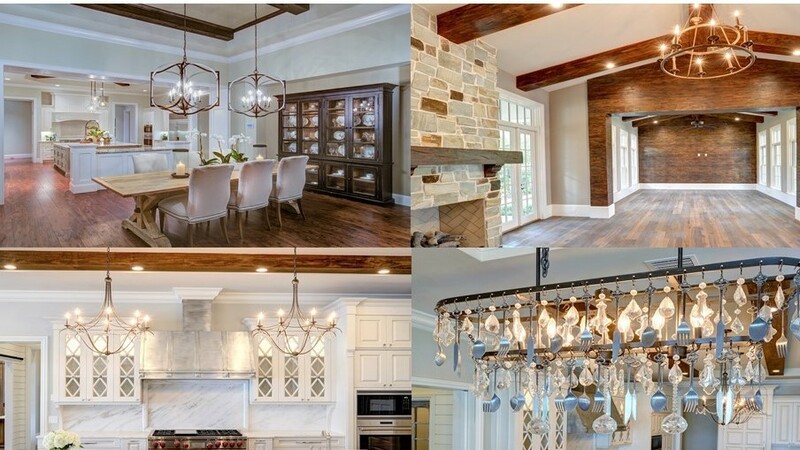 Lighting can make a powerful statement in the function and style of a home, and most people don’t realize how significant proper lighting is–it’s not just a decorative accessory. Your lifestyle will also determine how much light should be added to your home. Consider using a lighting design consultant during the early stages of your home’s construction. A consultant can work with you to envision the lighting tone you want to convey. To make sure you get the most out of the lighting concept you want, here are some of the key areas you should focus on. LIGHTING THE WAY: There are several light sources available to light a room. One of the best ways is to uses recess lighting. By doing so, it can help a small room feel bigger and produces a clean, streamlined look. Another popular choice is incandescent lights, which are the regular light bulbs you can buy at your local store. LIGHTING FOR DIFFERENT OCCUPANTS: One of the most important things to consider when choosing light is the age of the homebuyer. You will need to light the home differently for a 20-year old homebuyer versus a 50-year old homebuyer. Lighting experts say anyone over the age of 40 needs more light in a room because of changing eyesight. The most critical areas to consider are the bathrooms, the kitchen, and closets. Homebuyers should talk about their lifestyle choices with their builder and how they plan to use each room. LIGHTING THE KITCHEN: The type of light you will need in your kitchen will be determined by the colors of your floors, cabinets and countertops. The darker the wood, the more lighting you will need in the kitchen. Lighting experts say the best way to brighten a kitchen is to layer the light in the room. This includes installing wall lighting, down lighting, decorative lighting, in-cabinet, and under cabinet lighting. Start with recess lighting as your basic lighting in the ceiling and then add different decorative accents, like a dining room chandelier, a nook chandelier and cabinet lighting. LIGHTING THE CLOSETS AND LAUNDRY ROOM: The best way to light your closet and stay cool at the same time is to use fluorescent lighting. The bulb gives out more lumens, which means more light per watt, but is cooler and more energy efficient. Fluorescent lights will help illuminate the dark corners of a closet when you’re trying to find that pair of black shoes instead of grabbing one black and one blue shoe. Many people find that fluorescent lighting isn’t the most attractive fixture and opt to install recess lighting after inspection. While recess lighting is prettier, the lights emit more heat. Who wants to get hot and sweaty just walking into the closet? The same principle applies to lighting your laundry room. Laundry rooms are already hot so you don’t want to add more heat by installing light bulbs that burn for six hours while you’re doing ten loads of laundry. When is the right time to start a remodel?